During the Summer and Autumn of 2017 we are planning some exciting projects and are happy to share the experience! 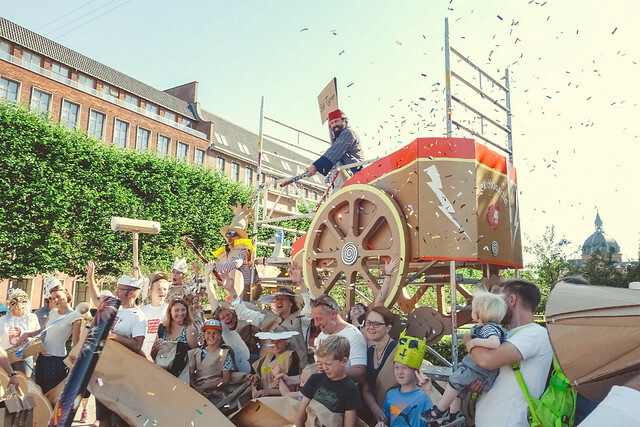 We will materialize different stupid ideas – you can expect a lot of work with cardboard, planning games and events, you can carry stuff, perform and communicate! 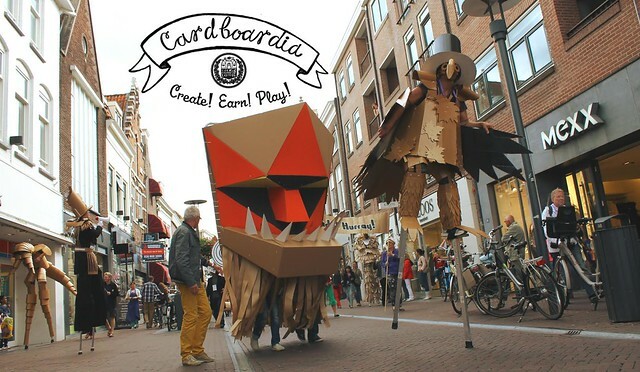 If you want to become a Personage of Cardboardia (citizen) – please join our internship! Module 1 - "Designing costumes and objects for interactive performances" - design of performance, creation of big and small objects, creation of cardboard and paper costumes - under the leadership of the Minister of Education of Cardboardia, Olesya Kandalintseva. Module 2 - "Street performance, communication and interaction with the public" - interaction, performance, management of big scale events - under the leadership of Tyran of Cardboardia, Sergey Korsakov. Module 1 - "Designing costumes and objects for interactive performances"
Participants are responsible for their own food and travel costs to place of internship. The project schedule will be specified during the online interview. Participants travelling from overseas are responsible for any necessary travel visas. Sergey Korsakov, Russia (Tyran of Cardboardia, elected leader of the country) 1977 year of my arrival. Based mostly in Moscow, traveling a lot to promote Cardboardia country and setup Embassy’s around the globe. Before being elected as post of Tyran of Cardboardia – was head of «Bad Taste» (Russia) music label and agency (The Tiger Lillies, The Real Tuesday Weld, Jason Webley, The Flea-Pit Orchestra, Psoy Korolenko, Korabl, Tudosok and others), before it publisher of «Kinoizm» and «Igrok» online magazines and director of advertisement department at «Polit.Ru» magazine. 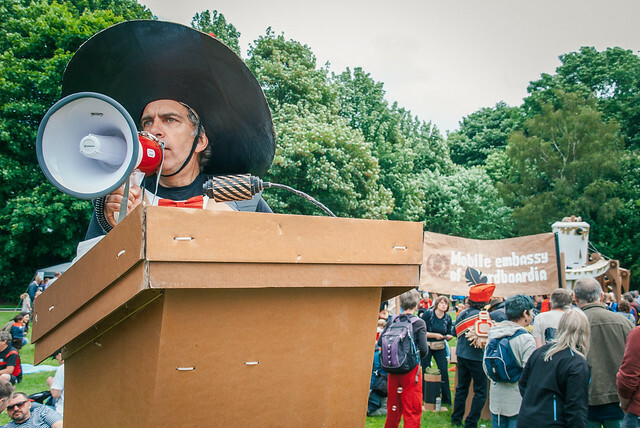 Create and organize a lot of small and big events around the world, include gigs, shows, city festivals and Cardboardia materialisations. Olesya Kandalintseva, Russia (artist, designer, curator of internship program at «Made in Cardboardia») Born in Moscow, Russia. She graduated from High School of Landscape Architecture and Design in Moscow. 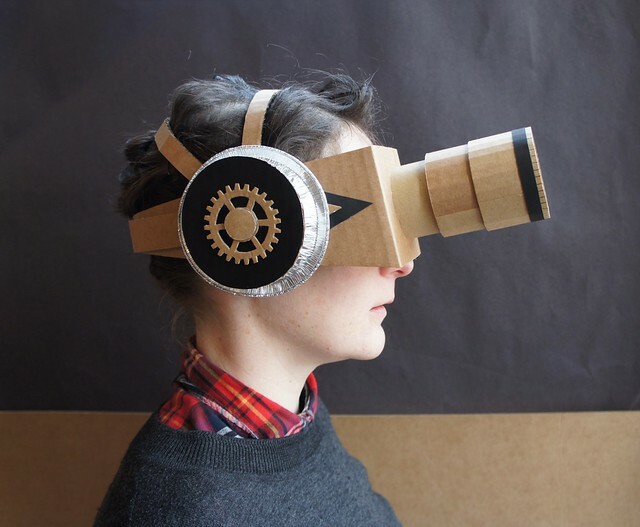 In 2011 – 2012 she attended two summer study cycles at the Strelka Institute. Starting from January 2013 Olesya Kandalintseva is Minister of Education of Cardboardia and a curator of Made in Cardboardia internship . Up to now Olesya Kandalintseva implemented more than 30 projects as curator and artist. Lottie Smith, UK (artist). Graduated with a degree in Illustration with Animation from Manchester School or Art, UK in 2008. She continues to cut and stick in both 2d and 3d forms. 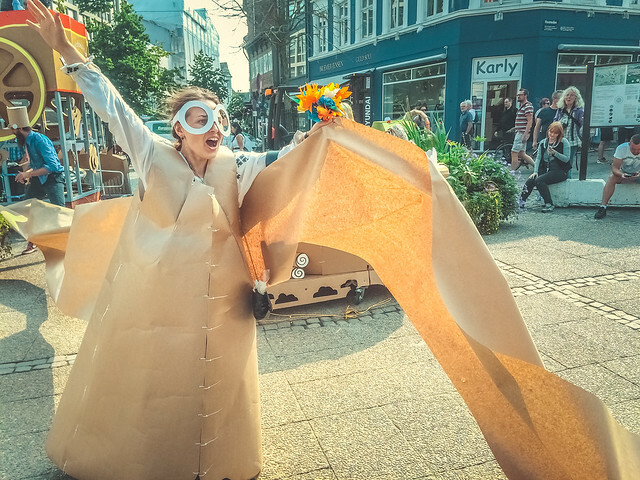 You'll find her producing work for a broad variety of clients and uses, including shop window displays, props for stage, music video sets, festival installations, wedding decor or workshop facilitation. 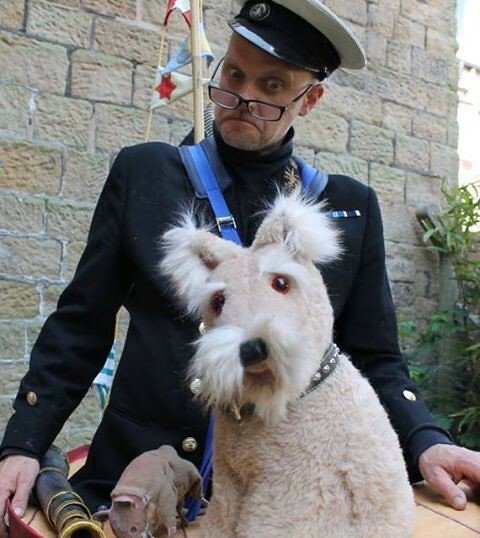 First working with Cardboardia at Hebdon Bridge's Handmade Parade in 2016 she felt she'd found her real nation.